If you recall – we drafted the Ohio Healthcare Freedom Amendment for 2 reasons. 1. To stand against any future state based mandates on healthcare. Nothing about the Supreme Court ruling changes this status. 2. So Ohioans would have the best legal standing to challenge the mandates from the Patient Protection and Affordable Care Act from a variety of avenues. Nothing about the Supreme Court ruling changes this either. So a battle was lost, and now we move forward – because the war is not over. 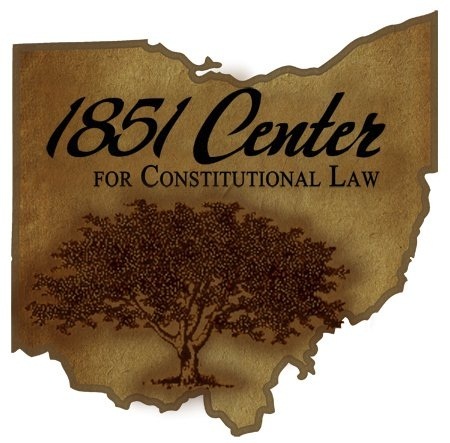 Below is a message from Maurice Thompson, Executive Director of the 1851 Center for Constitutional Law, who has published a thorough explanation of the impact the Supreme Court decision has on the Ohio Healthcare Freedom Amendment and where we will go from here. Maurice drafted the Ohio Healthcare Freedom Amendment, has been vital to the fight for freedom for many years and I’m proud to call him a friend. I hope you’ll read his words closely, and get ready for the upcoming battles. You, like me, were no doubt inundated with punditry on the fallout of the Obamacare ruling last Thursday and Friday. We didn’t follow suit. I did not found the 1851 Center to gab. We exist to advance liberty and limit government, whether we’re taking the lead, or simply supporting you. Of course, we’re not enamored with the Chief Justice’s placement of his image, or “the institute of the Court,” above adherence to applicable law. And we do think there’s a lesson for you in that by squandering the opportunity to place a constitutionalist on the Court, George W. Bush handed over the matches that Barack Obama is using to burn down your rights. Meanwhile, we’re not enamored with the prospect that the federal government may force you to buy any commercial product, and impose a tax if you refuse. But you’ve heard plenty about the decision by now. So now that the smoke has cleared, let’s get back to business. First things first: I’ve heard some rumblings from tea party soothsayers to our always-shaky Attorney General that the Ohio Health Care Freedom Amendment has now lost its meaning. As I’ve said many times in the past, if you supported the Health Care Freedom Amendment on the sole grounds that it would, without more, influence the Supreme Court’s interpretation of federal power, then you were reaching. But you were also partially correct: 5 Justices ruled that the individual mandate was not “proper,” as required by the Necessary and Proper Clause, because it transgresses principles of state sovereignty. To the extent that the Amendment could have influenced the Court’s reasoning, it did its job – it was Justice Roberts who did not do his. Passage of the Ohio Health Care Freedom Amendment necessarily provides protections that will be effective as against state and local government. This means that Ohio and its local governments would be prohibited from enacting health care and health insurance mandates, a single-payer system, or any regulatory provisions equivalent to health care systems in Massachusetts, Vermont, Canada, or the United Kingdom. Moreover, even in the face of a valid federal health insurance mandate, Ohio governments would be prohibited from enacting regulations above and beyond the federal baseline. Finally, the Amendment prohibits Ohio state and local governments from enacting any regulation that has the effect of significantly impeding health care or health care insurance choices, or significantly raising costs of health care or health care insurance. Passage of the Ohio Health Care Freedom Amendment has the capacity to protect Ohioans from the requirements of the Patient Protection and Affordable Care Act. By placing health care freedom in the Ohio Constitution’s Bill of Rights, the Ohio Health Care Freedom Amendment creates a fundamental constitutional right that Ohioans can use to defend themselves from invasive health care regulations, including the PPACA. The Ohio Health Care Freedom Amendment could be influenced by outcomes in pending litigation challenging the constitutionality of the Patient Protection and Affordable Care act. If the mandate is found to be a valid exercise of the Commerce Clause, Necessary and Proper Clause, or taxing power, litigation will ensue under the Ohio Health Care Freedom Amendment to determine whether Ohioans have a fundamental right to be free from the strictures of health care mandates. Important protections in the Ohio Health Care Freedom Amendment, other than those related to the mandating of health insurance are not affected by current PPACA litigation. As you can see the Amendment leaves us with many tools to preserve health care freedom in Ohio. And the Supreme Court decision actually provides additional tools to limit government. And with your help, we intend to use them. Step 1: Stop Ohio from Implementing a state-based Obamacare Exchange. Here’s the bottom line. Obamacare is unsustainable if states force it to operate through federal exchanges, which are considerably “weaker” than state exchanges. This law will collapse without the employer mandate and tax credits, just as it would have without the individual mandate. Will John Kasich muster this courage? It hasn’t happened yet. But here’s some good news: we’ve consistently made this argument to the administration since it accepted the federal grant to create a state-run exchange. And the administration hasn’t moved on the issue since. In addition to inviting Obamacare into Ohioans’ lives, a state-run exchange, the administration acknowledges, would cost about $43 million annually, versus about $1.6 million to plug into the federal exchange. And guess who would pay for that? You. Here’s some additional good news. If the Supreme Court’s ruling were to cause the Administration to change course, we have the trump card: the state constitution. We drafted the Ohio Health Care Freedom Amendment with full knowledge of the need to stop Ohio from implementing a state exchange. Remember, under the Amendment, no state law can (A) indirectly compel any person, employer, or health care provider to participate in a health care system; (B) prohibit the purchase or sale of health care or health insurance; or (C) impose a penalty or fine for the sale or purchase of health care or health insurance. And no state can implement an Obamacare exchange without doing these exact things. So if you helped make the Health Care Freedom Amendment happen, you’ve done your job. But the left is banging the drums of war, with former Governor (and now Obama co-chairman) Ted Strickland and Progress Ohio asserting “It is simply time to enact the law and end the politics,” and “[Taylor] needs to stop talking and go to work and pull together the kind of efforts that’s going to be necessary to get these exchanges up and running.” And some weak-kneed Senate Republicans are already caving as well. So here’s the next step: Stop the Kasich Administration from rubber-stamping a state-run exchange. That’s a political job – your job. And my job is to defeat them in court if you’re unsuccessful. Either way: there will be no state-run Obamacare exchange in Ohio. And this alone will hasten the Act’s demise. Read the 1851 Center’s explanation of why a state-run Obamacare exchange is bad policy, and violates the Ohio Constitution, here. Step 2: Stop Medicaid Expansion in Ohio. Are you concerned about federal spending? Want to hold on to the money you earn? This is your chance to make a difference. First, Ohio just argued – AND WON – the right to not be coerced by Obamacare to expand Medicaid coverage at state taxpayer expense. This is the part of the case where the Supreme Court actually ruled in our favor. Why would we argue for this autonomy, only to squander it, in the name of the welfare state? Second, half of Obamacare’s trillions in new federal spending comes through Medicaid expansion. Refusal to expand Medicaid blocks half of the law’s new entitlement spending. Yet Kasich administration officials said they do not know if they will expand the Medicaid program yet. This shouldn’t even be a close call. Obamacare authorizes states to provide free cradle-to-grave health care, using your wallet, for your neighbor making as much as $30,650 per year (this is above the state’s median salary, by the way). If Ohio were to go ahead and expand Medicaid, Ohio’s portion of the costs would soon balloon to $675 million per year covering roughly another 700,000 residents each year (perspective: that’s either a 5 percent tax hike or reduction in other services). Think your taxes are too high now? This is your chance to draw a line in the sand. Step 3: Mount a rights-based challenge to the mandate. Amongst all of the hand-wringing over the legal conclusion that the federal government has the power to impose a mandate through the back door, something important has continuously been lost:even if the Government has the power, there may be a constitutionally-protected right to be free from such a mandate. Just because the taxing power allows for the taxing of flag burning, for instance, doesn’t mean the First Amendment doesn’t protect the right and defeat the otherwise lawful tax. Courts have yet to address the Right to Privacy: The U.S. Supreme Court has held that medical records are constitutionally-protected from disclosure, yet the requirement to contract for health insurers necessarily compels a citizen to divulge private and personal records, along with blood and urine samples, to a private insurance corporation, or pay a fine. Courts have yet to address Freedom of Association: The Supreme Court holds that “Freedom of Association. . . plainly presupposes the freedom not to associate,” yet those without insurance are forced to contract with insurance private insurance corporations. And most importantly, Courts have yet to address the Substantive Due Process implications of the Health Care Freedom Amendment. The Fifth Amendment still protects certain liberty interests. Amongst these is the right to control one’s own body; the right to refuse medical treatment, and the right to direct the upbringing and education of one’s own children. The mandate deprives one who believes in an alternative form of health care from fully directing their own health care decisions: they may have to buy less organic food, get less acupuncture, and forfeit their health club membership in order to afford health insurance. Once we recognize the existence of a budget constraint, we see this loss of direction. Through placing the Health Care Freedom Amendment in Ohio’s Bill of Rights, we’ve given ourselves the strongest claim in the nation for a fundamental right to be free from a one-size-fits-all individual health insurance mandate. And we intend to use it. I am assuming that you, like me, never want any Ohioan to be led away in handcuffs for refuses to purchase federal-government-defined health insurance. Moreover, I’m assuming that you’ve already rejected the paternalistic philosophy that leads some in government to believe that they know what you must buy even more than you do. And I’m assuming that you reject the collectivist underpinnings of the notion that you should be forced to purchase, as a taxpayer, the health care of your bad-habited neighbor who makes about the same as you do. Are you just human cattle, being fattened up for the benefits of big government? Are you just plants in a garden, who can’t flourish without the master government gardener? Is the federal government, in the name of “public health,” entitled to a first mortgage over your life? Or are you born free, with a right to run your own life that no political majority may take away? You should have the power to make these choices. That’s what it means to be human and adult, much less American. We’ve all got a lot of work to do. The 1851 Center will support you in this work, and we hope that you’ll support us as well. Everything Obama does is in direct violation to The Constitution of the United States of America. This healthcare bill, no matter what you call it, violates the 10th Amendment. Why has Obama been so blatantly allowed to continually violate our Constitution. Why isn’t anything being done to protect the People of The United States of America from this maniac? Is everyone afraid of impeachment?? With all this in mind, I must ask, if Taylor is also just another communist.